Restoration or Add-On services can be added to any interior or exterior service package. You now have the freedom to choose the additional services you'd like. 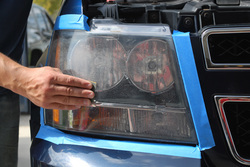 Our 7-step process will restore your headlights to like new condition. Unlike other products or providers, we apply an Ultra Violet (UV) sealant that protects your newly restored headlights, keeping them looking new longer. See the difference for yourself! Unlike traditional restoring sprays or dressings that wear off quickly, we utilize a permanent dye solution designed to restore exterior components back to their like new condition. Mirror housings, door handles, body trim, roof racks, etc. are carefully prepped and dyed. We offer both black and gray dye. Prices vary based on components to be reconditioned. The seasons bring rain and snow. The ensuing dampness can cause mold and mildew to show up when the warm weather returns. Some types of mold are hazardous to our health and removing them from your car is vital. 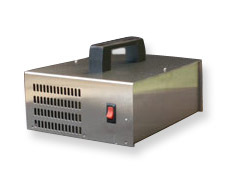 Ozone is an inexpensive option to kill mold, mildew, and bacteria. Ozone will also help eliminate that tobacco smoke smell. Our colorless and odorless Fiber Shield water based car fabric protection will guard your vehicle from protein spills while forming an invisible shield around fibers so that spills will not leave stains. If you do not see a service you are looking for, give us a shout. We offer to many services to possibly list here.